I would love to visit Bangkok as it is a dream destination! Bangkok is called Krung Thep in Thai that means- "city of angels"! Three years ago, I had the opportunity to visit Bangkok as the winner of a Quiz-Contest. In fact, I took part in the Quiz just because the prize was a trip to Bangkok, Thailand! I enjoyed my trip there! But, as the aircraft left Bangkok’s Suvarnabhumi Airport, I was full of regret for the things not done & the places not visited! Still yeh dil maange (this heart wants) more! Ready to packs my bags & open Bangkok’s door! Wanna experience all its sights & delights in store! Fulfill Family’s Wish- Ever since I had gone on a solo-trip to Bangkok, my Family wants to visit Bangkok and has decided a trip with me! Lots to Cover- Bangkok offers a lot of attractions that I am yet to see that I have unfortunately missed out in my short previous trip! Bangkok needs at least 3-5 days! Better use of Knowledge & Experience- Having visited Bangkok, I feel I can serve as a good Guide for my Family! 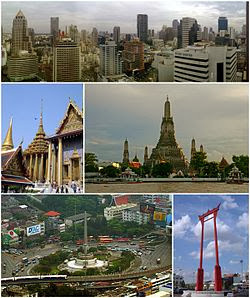 Location- Bangkok is situated very close to the Eastern Part of India where we reside. The Travel-Time is just 2 hours and 40 minutes from Kolkata! Package-Deals & Special Offers- Great deals and discounts as well as Group-Tours are readily available. 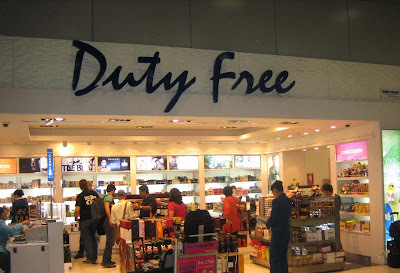 Also, the airfare for travel to Bangkok is very affordable. 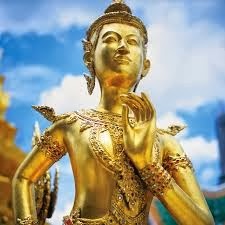 Planned & Organized Trip- Bangkok offers planned & organized trips with certified government-backed guides and services, some being complimentary. Accommodation & Services to suit every Budget- Bangkok offers a wide variety of stay and travel options that suit everyone’s tastes and wallets! Decent Accommodation, Buffet Breakfast, City-Tour, Return Transfers etc can make travelers feel relaxed & enjoy the holiday! Make Friends- Thai people are friendly and make travelers feel welcome! Thai Namaste lifts up spirits! 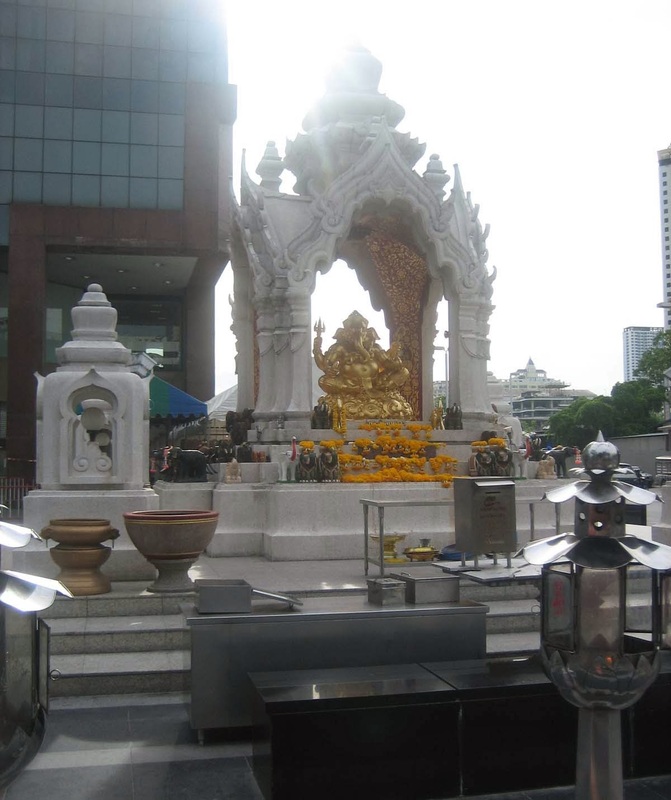 Discover Surprises- While walking on a Bangkok road near Siam Paragon, I was delighted to find a temple dedicated to Lord Ganesha! Want to discover more such surprises! 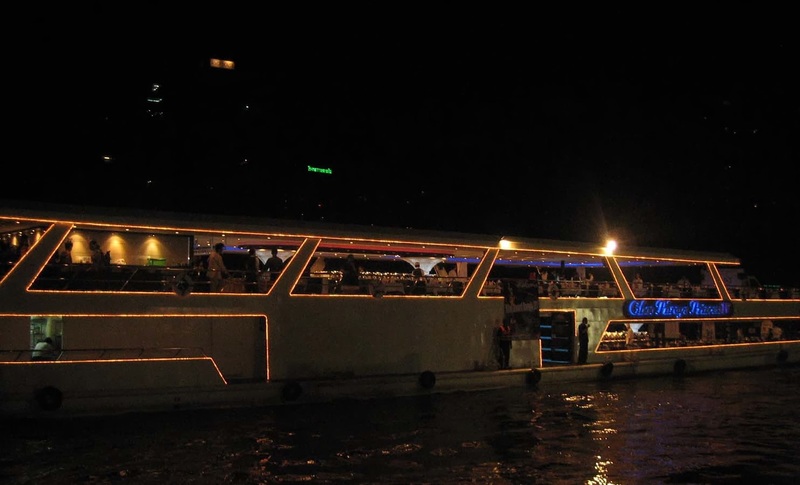 Sights & Attractions- Bangkok has exciting landmarks. 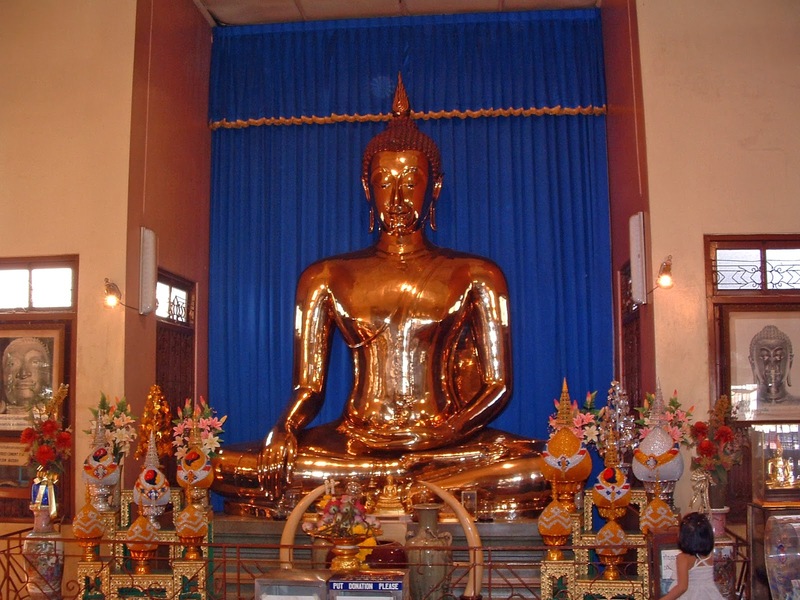 There are awesome temples like the Temple of The Reclining Buddha (Wat Pho) as depicted in the two images below. Wat Pho- Though I visited the Wat Pho the last time, this time I’d go there again to take better quality photos and videos! 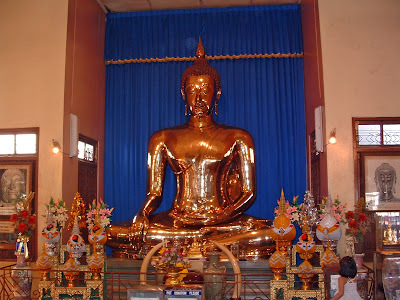 Wat Traimit- The Temple of the Golden Buddha has a solid Gold statue of the Buddha that I had missed and will cover this time! The Grand Palace- It’s a shame that in my previous visit, I have missed visiting Bangkok’s most famous landmark, The Grand Palace. Bangkok’s Grand Palace, 218,000sqm is an ancient palace that has royal residence, halls & even government offices. The Queen Sirikit Museum of Textiles– Inside the Grand Palace, I will visit the textiles museum too. 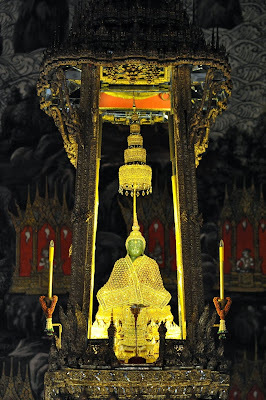 Wat Phra Kaew- I will not miss the important temple- the Temple of Emerald Buddha, or Wat Phra Kaew. I will be delighted to see Buddha’s image carved from a single block of jade. 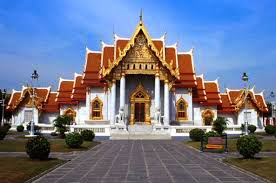 Wat Benchamabopit- The Marble Temple will be a must-visit. Chao Phraya River-Cruise- Last time I had taken a night cruise and saw the awesome lighting. This time I want to treat my eyes to the great views of the many attractions in bright daylight. Wat Arun- Wat Arun is the Temple of Dawn whose spire (prang) on the bank of the Chao Phraya River is a world-famous landmark. 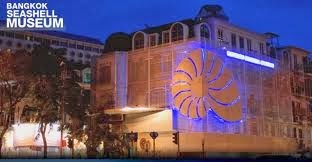 Bangkok Sea Shell Museum– I would love to ‘see sea shells’ that too in the Bangkok city and not ‘on the sea-shore’! I love collecting shells on the beach and this shell museum shall be an absolute delight for me! 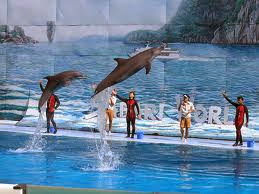 Safari World with Marine Park- I would like to take my kid to Bangkok’s Safari World with Marine Park that has the Safari Park, Bird Park, Games Corner and Macaw Island. We’ll love the orangutans, dolphins and the exotic creatures there! 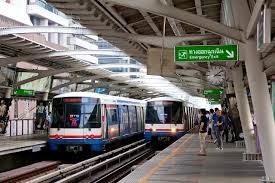 SkyTrain – I want a ride on the famous SkyTrain. The closest I got was to its station! Really wanna board! 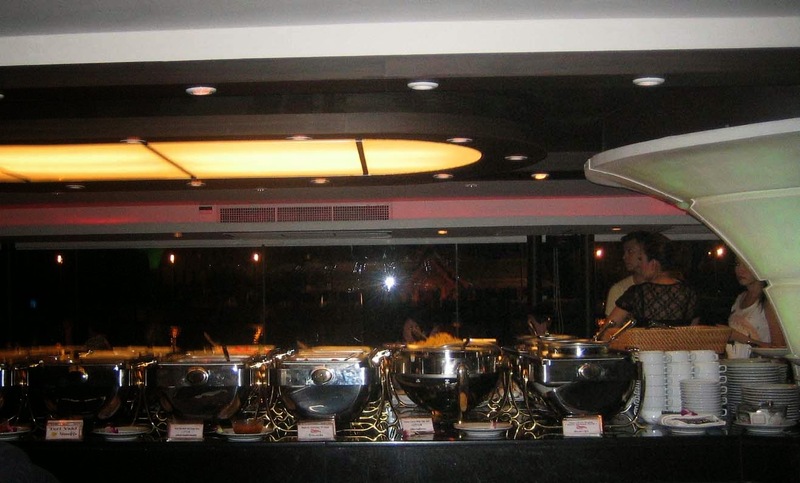 Food- Bangkok offers a choice of cuisines with amazing dishes. As I love seafood, I love the variety Bangkok offers! I love Thai food and would love to savor the flavors by joining the Bangkok Food Tour! Chinatown- I would love to visit Chinatown and try out the stuff from the road-side vendors. Thai Spa- In my last visit, time did not permit me to experience the famous Thai-massage and Spa. Of course, the same is available these days in India. But, it’ll be nice to avail myself of these services in Bangkok. Pattaya- I missed travelling to Pattaya the last time. This time I will do so and visit Pattaya’s Coral Island & explore the coral reefs from a glass-bottomed boat! I would like to be a part of the activities offered there like- Kayaking, Parasailing etc! I want to attend the Alcazar show, a cabaret with bright costumes, acting and stage-design. Nearby Places- From Bangkok, I can also plan to make it to the other destinations like Phuket, Krabi, Chiang Mai etc. 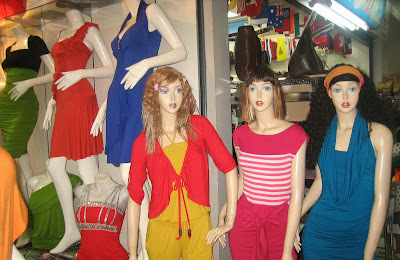 Shopping- Bangkok is great for Shopping. It offers budget-buys from roadside-vendors as well as opulent shopping-malls. 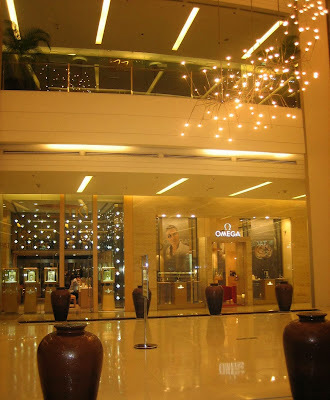 Last time I had visited the Siam Paragon Mall & the MBK Mall, but had missed the other malls. Souvenirs, Handicrafts, Clothes & Luxury items like Gems from the Gems Gallery etc are a must buy. My sister-in-law wants me to pick fridge-magnets for her when I visit Bangkok next! As everyone in my family is a gadget-freak, we all will love a trip to the electronic goods markets! My kid loves cartoon t-shirts that we can pick! Night, Flee & Weekend Markets- I have to visit the budget market- Khao San Road. The Chatuchak Flower Market has beautiful roses, tulips and tropical flowers… I would like to visit the Flea Market- Bangrak Bazaar. The Chatuchak Weekend Market with thousands of shops is tempting! 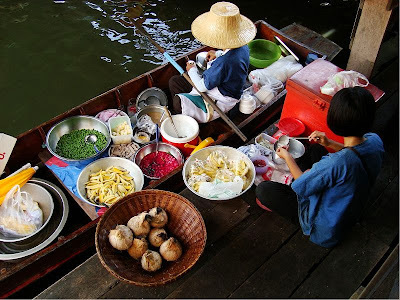 Floating Markets- I had missed visiting the boats piled with Tropical fruits and vegetables and local food cooked from floating kitchens. I will love to relax ‘on a boat tour of Damnoen Saduak’. 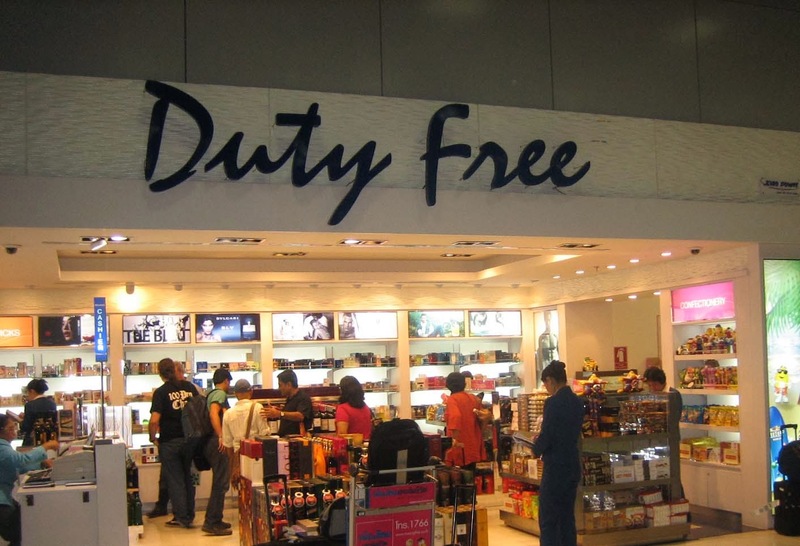 DutyFree Shopping- I would like to pick the dried fruits and the confectionary. 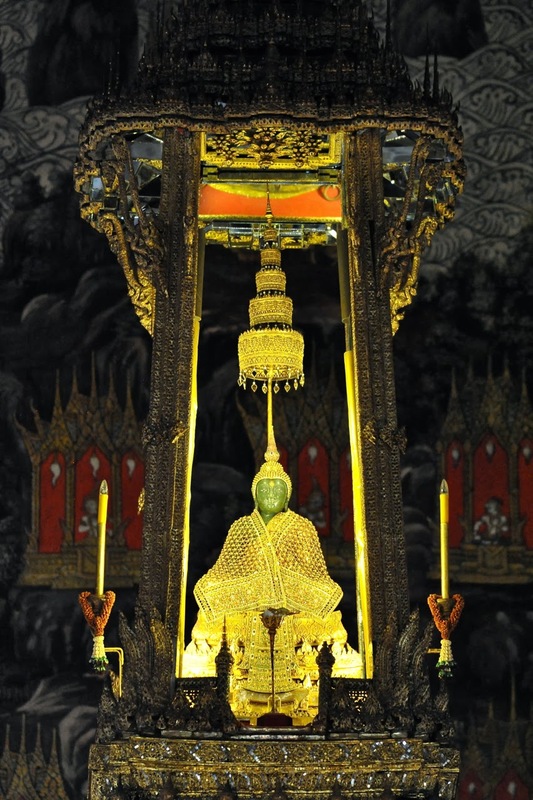 Bangkok is a rewarding treat for the food, fun, fashion, leisure, travel & photography enthusiast in me! 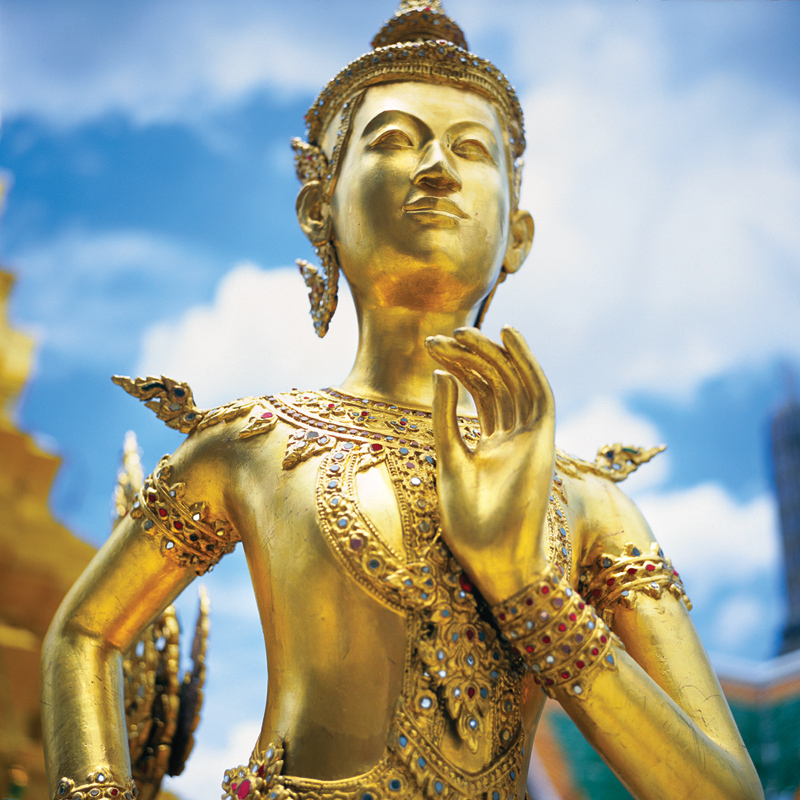 I chose Bangkok as my Dream Destination as it has "sumptuous and delectable food, gorgeous temples, unbelievable shopping, relaxing spas and much much more"! I shared what sights I would love to visit at Bangkok. All images without 'Image Courtesy' belong to me! Those with reference- 'Image Courtesy'- are courtesy Wikipedia & Wikimedia Commons. It is indeed a wonderful city. Thank you so much for your appreciation & great wish! :) I have made an honest attempt! ooh u almost took me all over bangkok. and that is the problem. i want more. and i will get it somehow. i will let u know when i do. Please do post your London trip videos & pics & share. Never been there! Thank you so much for your heart-touching comment! Feels great to be a source of motivation! Anita I have bee there four times but the floating market is favourite ... all the best girl !! Thanks for stopping by and sharing, Ritesh! Delighted that you liked my Post! Thanks for the great adjectives! I know this country is very colorful! I recently flew from there. In Chiang Mai, I spent about two weeks, I was very impressed by the mountains. I went there, renting http://catmotors.net/our-motorbikes/ scooter here, pick up my close, grab some food, my tent, and spend the night on the top of Doi Kong Moo hill. Very specific place!